Boarding on a plane is great. Going on a holiday feels even better. However, for those of you who happen to travel by an airplane way too often the hours spent on board might have become somewhat boring. Don’t worry, you are not the only one. I remember the first time I took a flight. Oh boy, I was excited. Unfortunately, the excitement faded away the next time I happened to be squeezed between two massive ladies for over an hour. And then it struck me “What are the other passengers doing to kill time?”. I looked around and most of them were either sleeping or playing on their smartphones. Maybe it wasn’t a bad idea to crack some music. However, those were the days when I haven’t discovered Spotify Premium yet and I realized that all the music on my phone wasn’t what I needed to hear at that very moment. So the question is how can we make our board hours more enjoyable? That’s why I decided to wrap up a list of activities you can do to make time fly by (pun intended). Some of them are fun, some of them are not but the important thing is they will keep you from staring at the head in front of you (though sometimes that’s funny too). Well, the most obvious thing to do is to take a book with you and give it a good read. Just make sure it is an interesting one otherwise you will end up with a blank stare once again. There are hundreds of reasons why reading is good for you. First of all, it distracts you from your surroundings, thus drawing your attention to something else. As a result, hours turn into minutes and here we are on solid ground once again. Additionally, reading fires up your imagination and what is life without having one? If your flight is more than 4-hours long maybe it would be better if you take more than one book with you. This will further diversify your reading options as you’ll be able to switch between different topics. If you like to do that maybe an e-book reader will do the trick as well. I cannot but mention writing when talking about reading. Writing feels natural to a lot of people and being 10 km up in the air makes more sense when you put some words down. Of course, we are not talking about finishing a novel from scratch here. 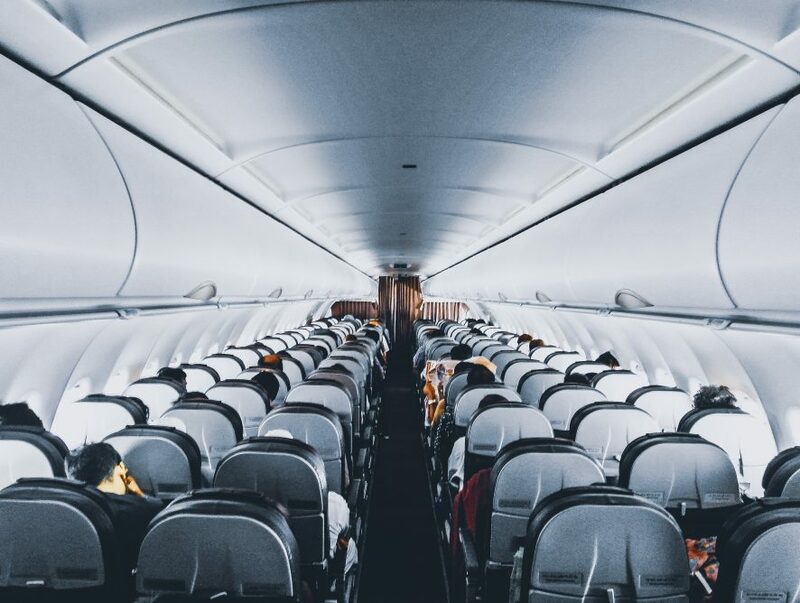 If you are a blogger, then you get the opportunity to create a captivating blog post on the airplane and share your experience with your readers. Besides blogging from the air sounds badass AF. I know, sometimes creativity is not in the house but that doesn’t mean you cannot write a letter to someone you care about. When was the last time you wrote an actual paper letter? Why is your favorite song your favorite? Do you have a favorite song? A favorite artist? Great, most of us do. However, have you asked yourself what makes a song truly special to you? What makes an artist stand out from the crowd? Why do their music matter to you? What emotions do you feel you when you listen to your favorite tracks? Why do people tend to crank a single track on repeat all day long? My point here is, music is way more than just a couple of chords and a few words mixed together. Unfortunately, when we are busy we don’t pay attention to the details and sometimes it’s the details that make us adore a specific song. Analyze it because by analyzing the music you love you analyze yourself and this is always a beneficial activity. Well, this could be both engaging and fun. On the other hand, sometimes we find ourselves making lists of things we don’t really dig. Like “To-be-done by the end of the week” or “Things that drive me nuts” or “Top 5 worst break-ups”. I always prefer to stay on the positive side so if your attitude is somewhat similar, you can go for a list like “10 things I am proud of”. I hope you get it that you can add anything here. It could be the project you finished, you could be the homework you did (that never happened to me) or your first song ever or the fact that you made someone smile earlier that day. I get it that not everyone is born an entrepreneur but this doesn’t mean that good business ideas come from businessmen only. For example, if you had the resource what would you do? Would you start your own fashion brand? Can you come up with something no one has ever thought of? It doesn’t have to be a new kind of medicine. It could be something simple yet effective. For instance, is there an app you need but there is nothing that comes close on the AppStore/Google Play? Your business plan might include the internet as well. This is why I have to tell you that starting an online business is easy and it is not expensive at all. Even blogging can be profitable and this article explains how you can monetize it. The idea is that you never know what’s going to happen and that’s the beauty of it. Think of your dream job and how you can make it real. If the above-mentioned activities are not your cup of tea, then I have some alternatives for you. Why don’t you strike a conversation with the passengers next to you? To make it funnier pretend to be someone else? You could be anyone, a famous actor, a billionaire, a proffessional athlete. Are you good enough to persuade your partner you are someone else? There is no need to lie. Of course, you can be yourself and just have a casual conversation with a complete stranger. To me this has always been challenging and fun. It is educating as well and the benefits of being a socially pro-active person are many. There are other things you can do on a plane and some of them are indeed funny but you never know how they are going to turn out. Yeah, I do mean falling in love or getting drunk. If you go for the latter, just make sure you are not a mess because it is actually against the law. The whole purpose of this article is to show you that the human imagination knows no limits and it’s up to you to put it in action when on board. During long flights make sure you engage with your mind instead with your smartphone.